Businesses worldwide using Microsoft Exchange are protected by the SPAMfighter Exchange Module from both spam and viruses. 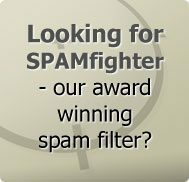 SPAMfighter, well-known for protecting millions of computers worldwide from unwanted spam is now filtering spam, and fighting viruses for thousands of firms all over the world with the SPAMfighter Exchange Module (SEM). The SPAMfighter Exchange Module offers businesses an effective spam filter, as well as an anti-virus program for all users on their Microsoft Exchange. SEM has recently been updated to filter out the newest forms of spam mails. Recent trends show that spammers are investing more and more in the technological side of spam mails. They are creating spam mails which will push past the spam filters, and into users inboxes. However, SPAMfighter has also focused on these new trends, and has worked day and night to keep up with the spammers making sure to ensure SEM users the highest filter rate. "Our goal with SEM was to make an easy solution for businesses to protect their exchange servers against spam and viruses without requiring a lot of work from each employee. We have accomplished this, and are happy to see that more and more businesses are enjoying the benefits of this newly improved programme.." says Martin Thorborg, co-founder, and co-owner of SPAMfighter. One example of this is a Danish company with over 1300 users who have been successfully using SEM. 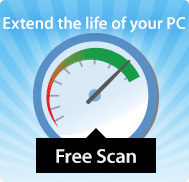 By having SEM, this particular company has saved over 23 days of work. This number is based on the estimate that each spam mail takes 15 seconds to receive and delete and as over 51% of the emails most businesses receive are now Spam this represents a crucial significant time and cost saving. While SEM has centralized administration, users also have control of their mailboxes with a toolbar in Outlook. This allows users to block any spam mail which may slip through the SEM filter, and thereby report it immediately to the SPAMfighter server. SEM is also in effect, and able to be used when employees are traveling with the unique Outlook Web Access toolbar. This allows users to block any spam mails which were missed by the SEM filter, as well as unblock any e-mails which were filtered incorrectly. More and more businesses worldwide are taking advantage of the benefits of having SPAMfighter Exchange Module. The user friendly, low maintenance, anti-spam and anti-virus program is helping to protect businesses at an international level. million spam messages from 16 million tested emails received by one million users in 210 countries/regions.